BOTSWANA’S Minergy, a coal development company due to list in London next year, said it would attempt to sell coal to Eskom, the beleaguered South African power utility, after an earlier proposal was turned down because it did not have a black owner. “I’ve flirted with the Eskom opportunity. I just can’t get to the coal people because there are some serious gatekeepers in the way,” said Andre Bojé, CEO of Minergy in an interview. A previous inquiry to sell coal to Eskom was turned down because the utility said it could only buy coal from black-controlled companies – a strategy Eskom CEO, Phakamani Hadebe said was no longer in place. Eskom is urgently trying to secure four million tonnes (Mt) of coal of which only 1.1Mt had been contracted as of November 20. This is following the failure of mines formerly owned by Tegeta Mining and Resources which has since gone bankrupt and the mines – Optimum, Koornfontein and Vlakfontein – placed in business rescue. Minergy is due to produce its first coal from Masama, a property situated in Botswana’s Mmamabula coalfield. Construction on the mine site was only started a year ago whilst the mining licence was granted as recently as August by the Botswana authorities. Nonetheless, Bojé said the operation would be ready to start in February on time. Civils on the mine were far advanced and a process plant was being railed from South Africa. 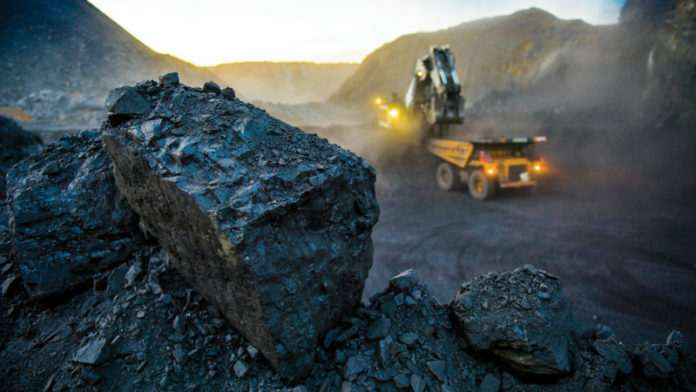 Bojé said that both Botswana and Minergy had a significant role to play in fulfilling the increased demand for coal, with four million tonnes of coal exported from South Africa to the African continent in 2016, which is forecast to rise to 38Mt by 2030. “The thermal coal price has also increased 33% over the past 18 months, making it one of the world’s top five highest-performing commodities,” said Bojé. “The price of coal is rising, there is a deficit in supply and a strong demand, especially in the developing world, which is driving up the prices and keeping them high,” he said. When Minergy lists on the Alternative Investment Market next year it will attempt to win over investors by highlighting its position as the first of several companies to turn significant reserves of Botswana coal to account. The development of a bridge at the border of Botswana and South Africa by Transnet Freight Rail will significantly increase capacity. It will be interesting to see if the Botswana government, who are very keen to diversify their economy away from diamonds, will have anything to say about a SA government entity putting in place non-tariff barriers to Batswana exports. Perhaps Botswana should put up a few barriers to SA exports in retaliation? They could start with mining supplies, like explosives, for example. The Southern African Customs Union must offer some sort of recourse to countries barred from exporting to fellow members of the union.